Goals and Purpose of Program: This is a structured, coached, group-oriented program for people training to run their first marathon (26.2 miles). Although our name includes the words “First Time”, our program is also applicable to people who are training for their second, third, fourth, or even fortieth (or more) marathons. The FTM program is six months long. This program began in 1995 and has helped well over two thousand runners complete their first marathon. The program’s philosophy is simple. We believe that any healthy adult can complete a marathon if: 1) they have the desire; and 2) they train properly by following the program. Our program should provide participants with the physiological and mental toughness necessary to go 26.2 miles. We also firmly believe that training for a marathon should be FUN, and the marathon itself should be an enjoyable experience (although not an easy task). By following our training program, it should be possible to run the marathon in relative comfort, without hitting “the wall.” You do not have to be a fast runner to participate in our program or complete a marathon. The program gradually builds up your average weekly miles from a minimum of about 15 miles a week at the start in May to about 40+ miles a week just before the event in October. We want you to average at least 35-45 miles per week running for three months before the marathon to be in the proper shape. If you come to the group workouts on a regular basis, follow the monthly schedule, run the average weekly miles prescribed, and do all the scheduled long runs; you will be able to finish a marathon by the end of the program. Over the last ten years the program has had virtually a 100% completion rate for those who finished the program. This is not a “walk-run” program. We run our workouts (except for water stops), and our program participants run the entire marathon. There are no fundraising or charity components to the program. Prerequisites: This program is open to any healthy adult. We train runners at all ability levels. That said, we do not think a marathon should be the first race for a beginning runner. The marathon is a difficult athletic event, so to ensure that participants are properly prepared prior to enrolling in the program, we have the following criteria: 1) be averaging at least 12-15 miles per week for at least 4 weeks; 2) be running about 3 times per week; 3) most importantly, be able to run six miles at one time without stopping. Our first long run will be 7 miles on May 5th. Given the physical stress associated with training for a marathon, if you have not run a marathon it is strongly recommended that you consult your physician prior to entering this program. There is no speed requirement but we cannot guarantee that a coach will be available for those who run slower than a 13:00 pace per mile. We’ll need a CURRENT 10K race time to properly place you in a pace group. Your race time and race effort will help us to determine your pace group – the harder the effort the better, but not at the risk of injury. The Piece of Cake 10k is an excellent club race on March 24, 2019. Pike’s Peek 10K is another popular local 10K on Sunday, April 28, 2019. Cost/Premium Info: The FTM program costs $120 for MCRRC members. THIS DOES NOT INCLUDE THE COST OF ENTRY INTO THE MARINE CORPS OR OTHER MARATHON, WHICH IS A SEPARATE FEE. (Note: Public registration for the Marine Corps Marathon lottery is open from March 20-26th. IF YOU WISH TO RUN MCM, PLEASE MAKE PLANS TO REGISTER DIRECTLY. There are NO guaranteed entries to MCM for FTM participants.) There may also be other races that we suggest that you register for that are an optional part of the training program and those costs are also not covered by the program. You must be a member of MCRRC to participate in this program. 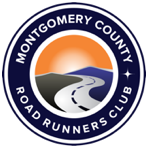 If you are not a club member, you may join the MCRRC by clicking here. Registration is online only for the FTM program. The money goes directly to the MCRRC (a non-profit organization) to cover program administrative costs and fund other club programs. All of the coaches in this program are unpaid volunteers. Sorry, but there can be no refunds or transfers to another program, regardless of the reason. Target Race: Marine Corps Marathon in Washington, DC, on October 27, 2019. However, this training program is applicable to other fall marathons, such as Chicago, New York, Baltimore, Steamtown, Philadelphia, or Richmond. First Run: May 5, 2019 @ 7:00 am at Ken Gar Palisades Park in Kensington, MD. From MD Rt 355, turn on Strathmore Drive, the street curves to the right then turn left on Beach Drive. Parking lot is just past the railroad overpass. Park in the lot or in the neighborhood. Background: Conroy has completed dozens of marathons and is an RRCA-Certified coach who began his running career in the MCRRC First Time Marathon Program. Support Staff: The 30+ coaches and pace leaders have a tremendous amount of knowledge and marathon experience. Note: You do not need to register for FTM in order to attend the orientation. We will be providing an overview of FTM and answering any questions you may have about our program. Pace Group Information: We will put people of similar ability together in pace groups, based on 10K (10,000 meters = 6.2 miles) race times and other criteria. Wednesdays @ 6:45 PM – track workout. The track workouts will take place on the track at Montgomery College, 900 Hungerford Drive in Rockville. *Sunday morning workouts are held at various running venues in Montgomery County along the Rock Creek trail such as : Ken-Gar Palisades Park in Kensington, Lake Needwood in Rockville, Candy Cane Park in Chevy Chase and the Capital Crescent Trail in Bethesda. You are expected to run one to four other times during the week on your own in order to meet the weekly mileage goals. You can easily stick to the schedule by running 3 days a week at the beginning and 4 days a week as the mileage ramps up. We will provide you with a training schedule for the full program, which gives weekly mileage goals and outlines the group workouts.